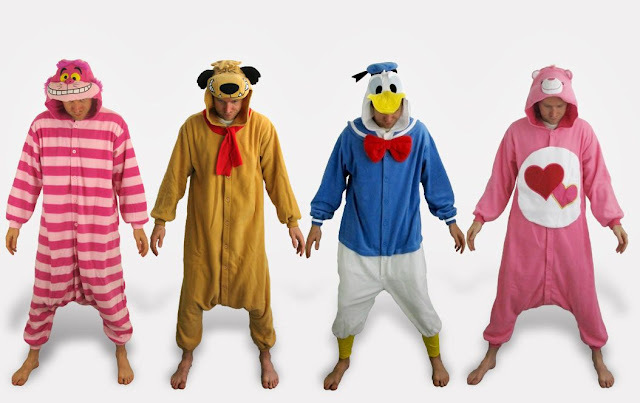 We've just added a whopping 4 new animal onesies to our shop. Not only are they each representative of an animal, but this rabble are all from retro kids' TV and movies. The question is, can you name all 4 of them? If you got 4 out of 4, let us know in the comments at the bottom of this post.The answers are below, as well as more details about each onesie. 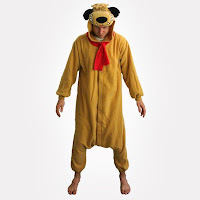 All of these products are officially licensed by Disney or Warner Brothers in the case of Muttley, and all are designed for adults up to about 6'1" tall (that's 185cm). 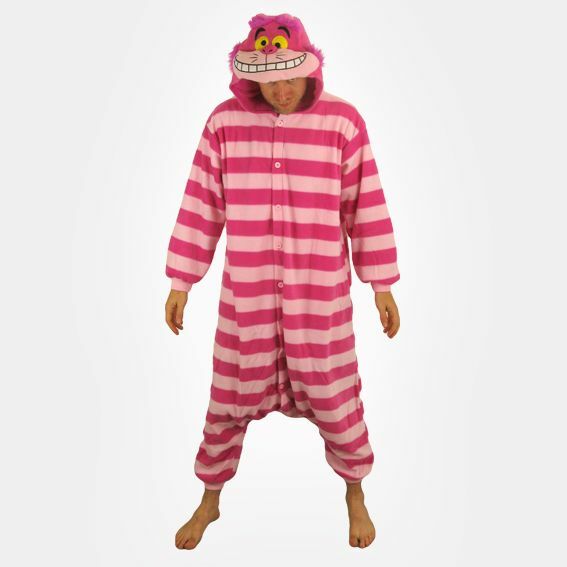 The Cheshire Cat is Alice in Wonderland''s grinning cat with the ability to disappear and reappear at will. 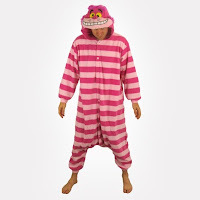 This onesie, licensed by Disney, takes the form of the Cheshire Cat as imagined in the 1951 classic animated movie. As such he has bold pink stripes, yellow eyes and furry details on the hood. Muttley is a dog character who appeared in various Hannah Barbara cartoons. He first appeared on screens in the 1960s as half of the evil duo Dastardly and Muttley in the Wacky Races TV show. He's most well known for his wheezy laugh and under-the-breath mutterings. 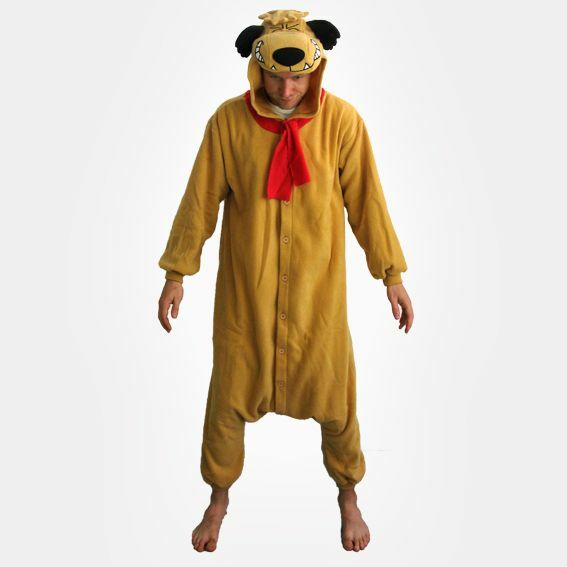 The onesie comes equipped with classic Muttley ears and scarf. 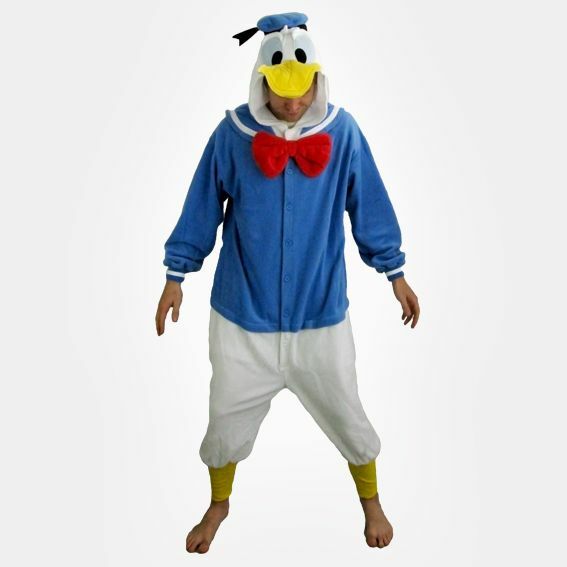 Donald Duck was probably the easiest one to guess. One of Disney's most famous creations, he's been in the public eye since 1934, and is Mickey Mouse's right-hand-man. The onesie shows Donald in his classic sailor suit with hat and bow tie (all attached to the costume in one piece). Love-a-Lot Bear is one of the most recognisable characters from Disney's Care Bears TV show and franchise. 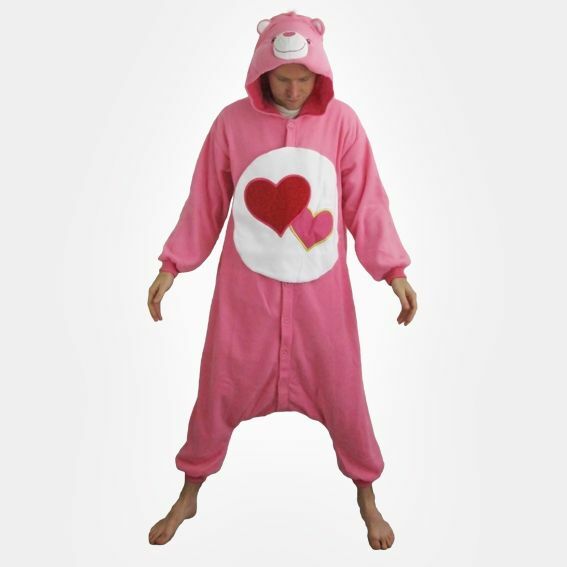 The onesie features a Care Bears face on the hood, and Love-a-Lot Bears symbol - the two love hearts intertwined - on its belly.